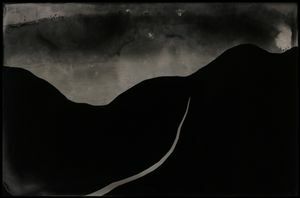 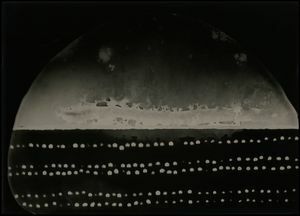 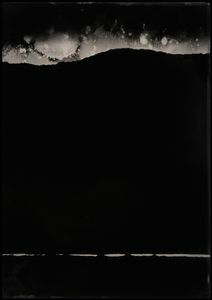 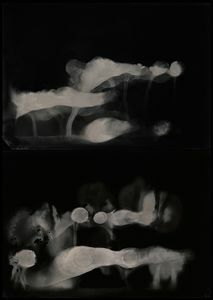 My practice is informed by an experimental approach to early photography and my interest in the image as object. 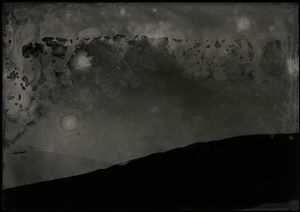 Spellbound by the fluidity of wet plate collodion, a 19th century photographic process, I explore new directions in cameraless photography by manipulating the medium while simultaneously relying on chance. 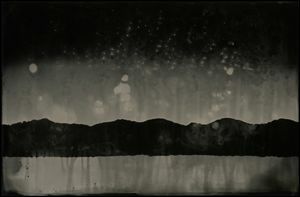 “Elemental Forms: Landscapes” is a contemplation on the transience of nature and on the boundaries between the self and the physical environment. 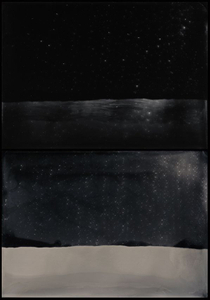 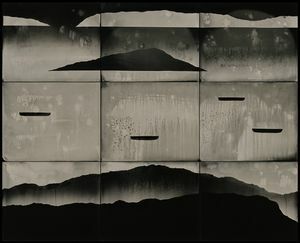 The series draws upon the tranquility of the western landscape and on the violent forces that shape it, such as the recent California wildfires. 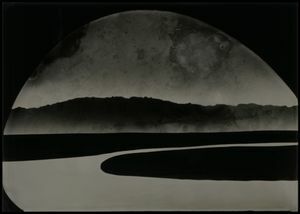 With simplicity and intuition, I employ light, chemistry and cut out paper to reveal core elements: Water, rock, air and fire. 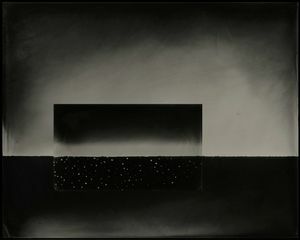 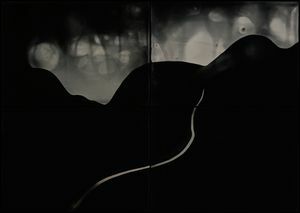 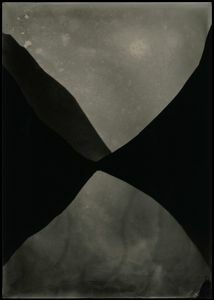 The paper cutouts prevent light from reaching the emulsion, forming shadows; the manipulated chemistry creates a range of tonalities and effects. 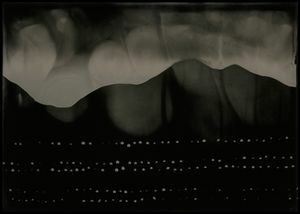 Without a title, location or a time stamp to provide an anchor, these image-objects invite the viewer to interpret the ambiguity and fill in the missing detail.